Sparkroom now offers real-time fraud checking services through its pre-built integration with the iDatafy LeadReview® database. 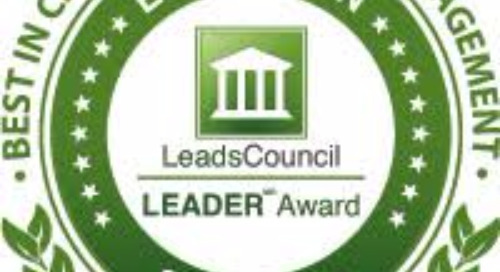 The LeadReview database is a master bad-inquiry database for the online inquiry generation industry. Schools contribute information about bad past inquiries to the patent pending database and, in turn, receive real-time information from the database regarding prior bad marks from other schools within the LeadReview consortium. Schools can set rejection and routing rules within Sparkroom to use the iDatafy information to optimize the inquiry quality and performance of their enrollment campaigns. “We are on a quest to achieve both the highest level of compliance and the highest quality of inquiry. Not surprisingly, these objectives go hand in hand,” said Todd Eicher, CEO of CUnet. Based on historical reviews of data, iDatafy has proven the ability for LeadReview to enhance the performance of a campaign: inquiries that have been marked “bad” multiple times are less likely to convert. In a recent study, iDatafy calculated a five-figure cost per start for inquiries marked bad seven or more times. iDatafy also noted that start rates for inquiries with at least one bad mark were 40 percent lower than start rates for clean inquiries. Sparkroom is cloud-based software that helps school marketers take control of their campaigns by tracking and analyzing key performance indicators. It provides the ability to analyze and understand the effective cost and performance of individual campaigns across campuses, program areas, degree types and more. Pre-built integrations for customer relationship management applications, student information systems, business intelligence systems and scoring platforms enable Sparkroom to become the hub of all performance marketing activities. Sparkroom provides an unprecedented level of transparency into education marketing campaigns, allowing marketers to do more with fewer resources. iDatafy designed their database to work in conjunction with existing validity and compliance checks, like the services provided by BriteVerify, LeadiD, Neustar and PossibleNow. Sparkroom offers pre-built integrations with all of these service providers. To request a personal Sparkroom demonstration, click here. To request a copy of the iDatafy white paper The Curious Case of Tally Trace: The Rise of “Paid to Answer” Affiliate Marketing Fraud, click here. Sparkroom, the most adopted and powerful performance marketing software for higher education, processes more than one million inquiries each month. Sparkroom is cloud-based and helps marketers grow enrollments while controlling the cost of student acquisition. Sparkroom integrates marketing data, automates marketing processes and provides marketing analytics that drive smarter decisions and a more optimized budget. Sparkroom is owned by CUnet, a full-service digital marketing agency specializing in identifying and recruiting students for the higher education industry. Since 2003, CUnet has helped colleges and universities reach enrollment goals through interactive marketing campaigns and advanced technology. CUnet is a subsidiary of Nelnet (NYSE: NNI), a leader in education planning and financing for more than 30 years. For more information about Sparkroom, visit www.sparkroom.com. iDatafy® is a new kind of real-time information services company. Our team helps companies and institutions achieve their business goals by harnessing the power created by combining their past worthless data with our patent-pending contributory databases. Our proprietary data helps companies fight fraud and improves marketing efficiencies in a transparent and fully compliant manner. That is the Power of iDatafy®. For more information about iDatafy, visit www.idatafy.com.